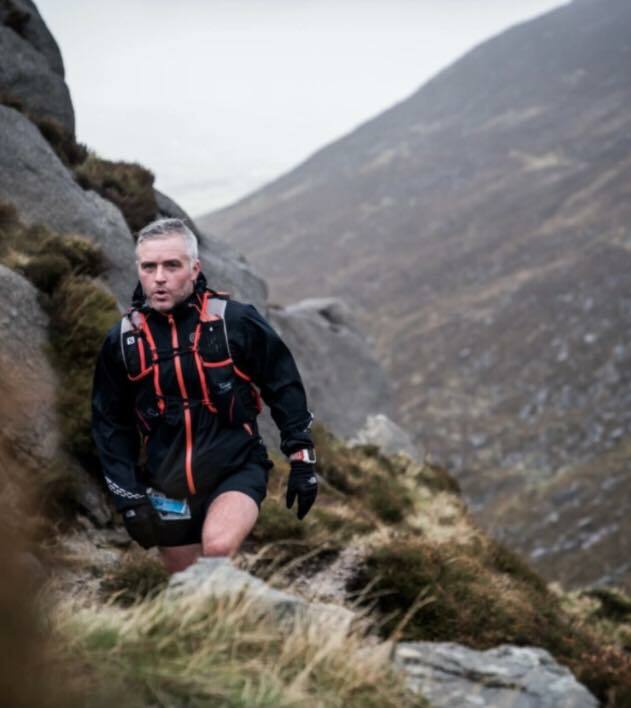 On Saturday 21st October the 4th annual Garmin Mourne Skyline MTR attracted athletes from 15 countries from around the world. The event organised by the NiRunning Team, was the final event of the 2017 Skyrunning UK National Series. Local athletes Seamus Lynch and Ian Bailey from Newcastle AC set the pace from the start. In the first part of the race it was Seamus who led the pair but, with half the race completed Ian established a lead which he extended to win in 3.37.18. Ian finished 10 minutes later in second place with a time of 4.07.51. Ryan Stewart of Shettleston Harriers completed the top three in a time of 4.12.19. In the ladies race, Shileen O’Kane from Lagan Valley AC was competing in her fourth Garmin Mourne Skyline MTR and her knowledge and experience was to make the difference as she won in 4.46.43. Megan Wilson, from Dark Peak Fell Runners had challenged Shileen throughout the race, until the final descent from Slieve Donard, finished second in a time of 5.00.09. Catherine Forsythe completed the ladies podium, crossing the line in 5.40.26. Springwell RC had one member taking on this formidable challenge. Ross Armstrong finished in 86th, completing the course in 6.25.06. The Men’s Masters Race was over 8k and Springwell RC had five members taking part; 6th Steven McAlary 28.06, 23rd Chris Denton 29.47, 44th Alex Brennan 31.25, 56th Raymond McCann 33.50, 61st Gerry O’Doherty 35.15. Saturdays Parkruns saw 49 of Springwell RC’s members taking part in Parkruns at five different venues with two personal bests being recorded. Judith McLaughlin completed her 100th Parkrun and Noel McAllister his 50th. Springwell RC’s Noel McAllister and Judith McLaughlin are congratulated by Mervyn Thompson on their milestones.